Abandoned and floating in the ocean, Captain Bluebear is saved by minipirates before being abandoned when he grows too large for their ship. Being saddened he spends a lot of time crying, which causes him to be adopted and virtually worshipped by a tribe of hobgoblins. Hobgoblins, as everyone knows, feed on emotions, particularly negative ones so Captain Bluebear's distress is really good for them. 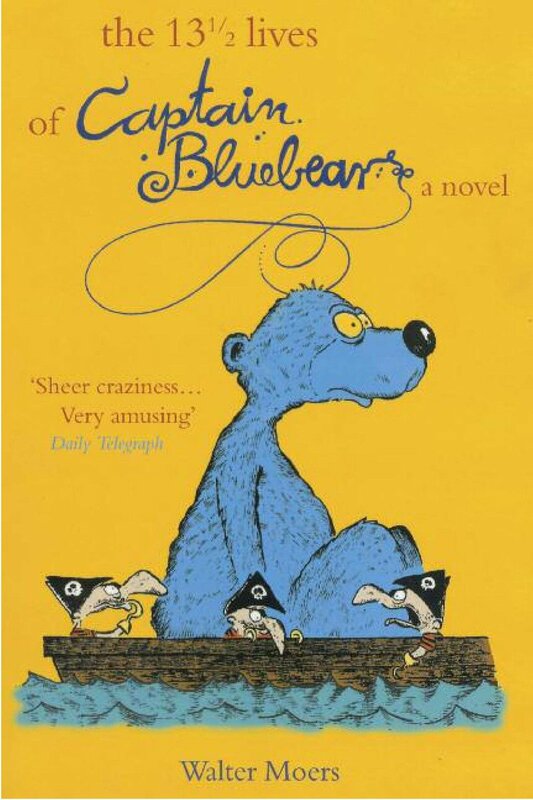 Feeling kind of icky about this Captain Bluebear leaves and embarks on many other adventures from rescuing people at the last minute with a pompous and near sighted pterodactyl with a hero complex to learning how to speak from intelligent talking waves. This is an absurdist book that is chock full of irony and wordplay and even a little blink and you'll miss it social commentary. I'm sure that reading it in the original German would give the reader even more inside jokes. The humor and silliness would translate well in any language. 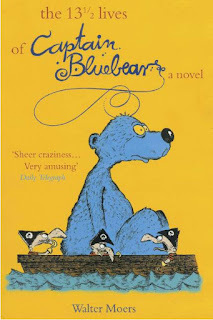 If you liked the Moomintrolls, you'll like Bluebear. There is a very strong sense of joy and love of life which comes through in this book. It's a bit of an investment at 700 pages or so but I found it time well spent.